What happens when you mix an Agatha Christie-esque mystery with a Groundhog Day loop, then add a dash of Quantum Leap? Deeply atmospheric and ingeniously plotted, The 7½ Deaths of Evelyn Hardcastle is a highly original debut that's an Agatha Christie mystery in a Groundhog Day Loop, with a bit of Quantum Leap to it. Perfect for fans of Kate Atkinson and Claire North. 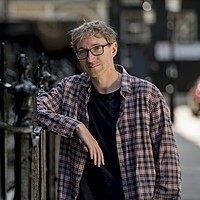 Stuart Turton is a freelance journalist who lives in West London with his wife. Stuart is not to be trusted—in the nicest possible way. 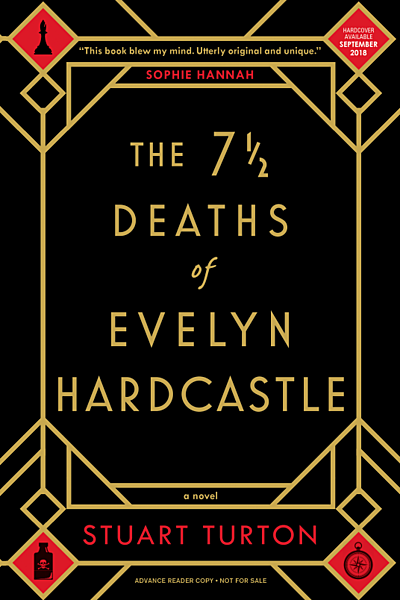 The 7½ Deaths of Evelyn Hardcastle is his first novel. 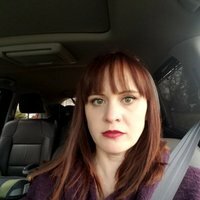 Elegant writing. Kind of an Agatha Christie feel to it.